Devon Moubry and Danielle Rodgers attend a front-end engineering coding class at The Iron Yard. 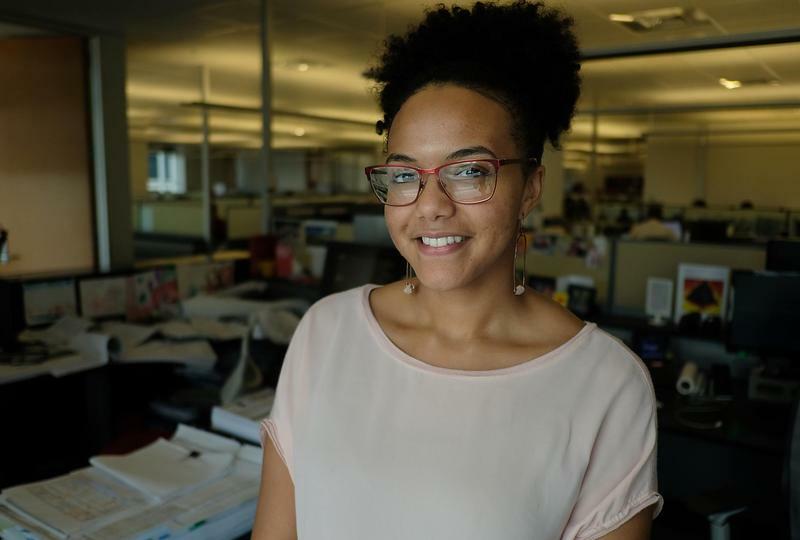 It’s no secret that the tech sector – which accounts for 13 percent of jobs in Austin, according to the Austin Chamber – is predominantly male and white. But coding boot camps, which have multiplied in Austin in recent years, are making headway on increasing female and minority representation in tech. Coding boot camps are a relatively new phenomenon, borne out of the high demand for tech workers in cities throughout the country. They offer intensive crash courses designed to turn a person who has never written a line of code into a web developer or data scientist in a matter of months. 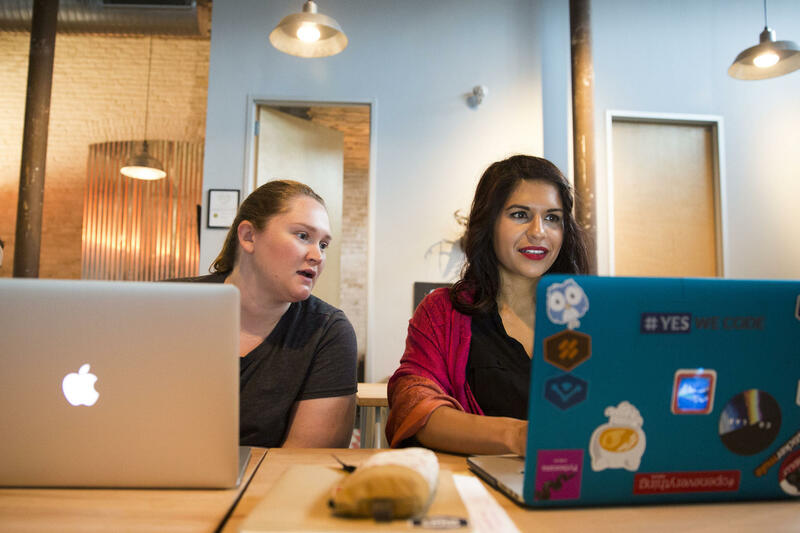 Austin is home to almost half of the 18 coding boot camps in Texas, according to Course Report, which tracks for-profit coding schools across the country. With names like The Iron Yard, Galvanize and Hack Reactor, they can sound intimidating. But these schools draw a much more diverse group of students than computer science departments in American colleges and universities. Nationwide, women received just 15 percent of computer science degrees in 2015, according to the Computing Research Association. That number is 7 percent for Hispanic people and 3 percent for black people. On the other hand, 43 percent of coding boot camp graduates in 2015 were women, according to Course Report. Twelve percent were Hispanic and 5 percent were black. Scott Good, director of the Austin campus of Galvanize, says this is often by design. “The mission of Galvanize is pretty straightforward," he said. "It’s about creating access to technology education and resources for people who might not have had access otherwise." Recruiting diverse students isn’t just altruism, he said. It’s also good for business. Employers are looking for women and people of color to add to their teams, and they are willing to sponsor them. Erika Angarita, a Colombian immigrant, received a scholarship last year from Atlassian to attend Galvanize. The company paid for a quarter of her tuition and set her up with a mentor. Now she is a web developer at Atlassian. “I am more than happy," Angarita said. "I got more than I was expecting." According to Good, Galvanize also offers discounts to people who identify with groups that are underrepresented in tech. “If you’re a black lesbian, then obviously you’re a woman, you’re of color, and you’re LGBTQ, so you could potentially get the full $5,000,” Good said. Most coding schools in Austin offer similar diversity discounts. Forty percent of students at The Iron Yard last year received at least one of these scholarships, according to Sam Kapila, the school’s director of instruction. But these discounts aren’t always enough assistance. Boot-camp courses tend to cost between $10,000 and $20,000, and require students to quit their jobs and commit to the programs full time. The Iron Yard recently announced a new scholarship that will help women and people of color pay for their courses, Kapila said. The scholarship is the school’s contribution to a corporate, government and nonprofit partnership called #YesWeCode Fund. “During our announcement at South By, we raised $100K just in pledges from companies that were there at the announcement,” she said. Hack Reactor and General Assembly have similar scholarships. Both schools rely on corporate partners to help fund students from diverse backgrounds who can’t afford their programs. Austin Coding Academy offers one diversity scholarship, and Dev Bootcamp is currently looking for a corporate partner to provide a diversity scholarship. Despite these efforts, coding boot camps have a ways to go before they are truly diverse. Reflecting back on her time at Galvanize, Angarita said, she was very much in the minority in her class. “There was just two women with me, and I was the only Hispanic lady. There was another Hispanic guy. But, yes, I was the only woman who was Hispanic,” she said. Most of the schools interviewed for this story had just begun tracking diversity stats, and none of them could provide stats on the makeup of their past graduating classes. Tony Nguyen is a fellow for Code2040, an organization focused on diversifying tech. He worked with Austin Coding Academy to help it set up a scholarship. While these coding schools are trying to do the right thing, he said, they are new and are working with limited budgets. “When we’re doing the scholarship, we’re cutting off a little bit of fat that is barely there,” he said. Since most of the coding schools in Austin are not quite four years old, he said, it may take some time before they are able to make a big impact on diversity in the tech sector. Is Austin A Tech Center Or A Tech Colony? 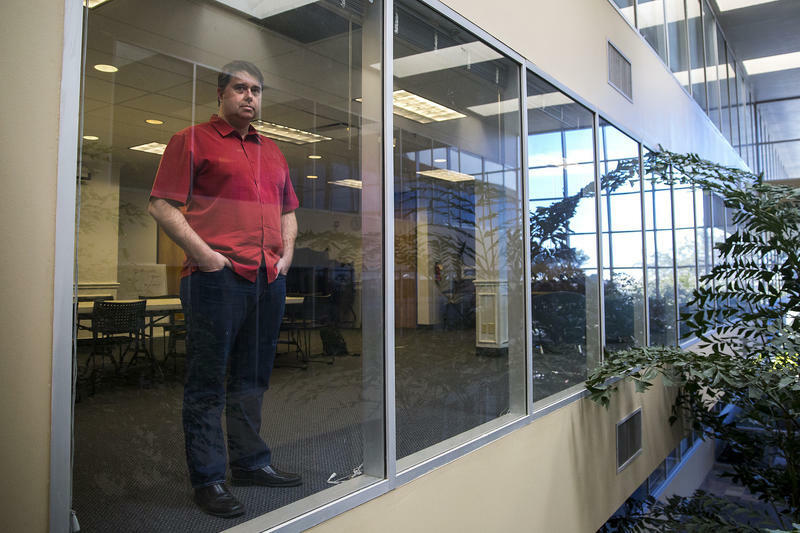 Almost every day we hear about out-of-town tech companies opening branch offices in Austin. What does that mean? Could the next Facebook, Google, or Apple start and grow in Austin? 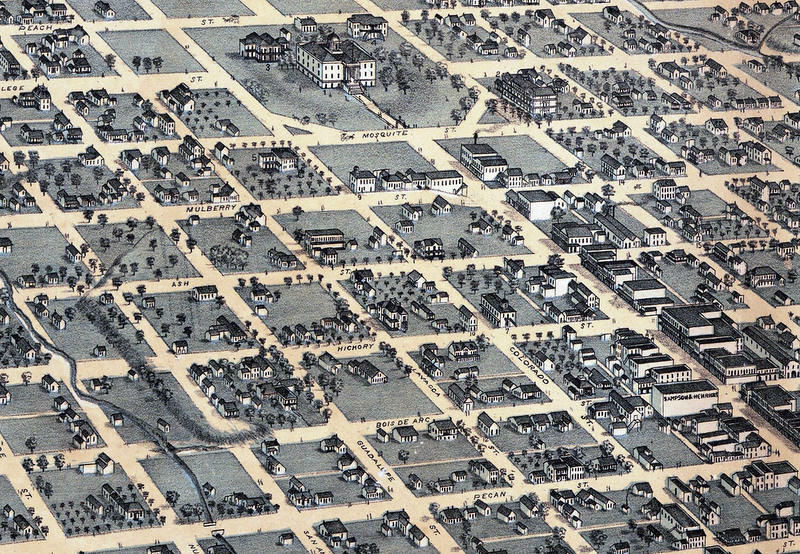 Will Austin even be the next Silicon Valley? Or are we a "tech colony," a place where global companies can find a ready supply of highly-trained tech workers who will work for less than workers in California or New York? 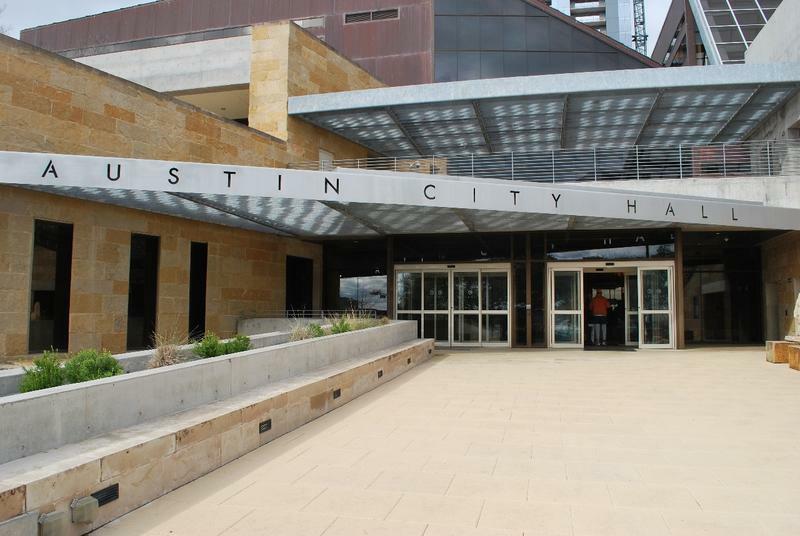 The City of Austin will soon name a leader for its newly created Innovation Office. So what exactly will this person do – and does Austin need one? Innovation – like sustainability, transparency, and social responsibility – are buzzwords the public sector is appropriating from the business world. Austin established its own Office of Sustainability in 2010.